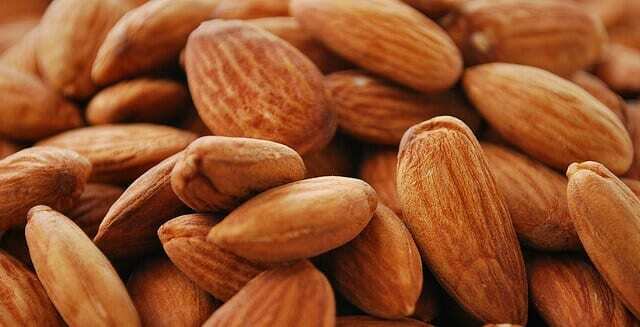 Healthy snacks for diabetics don’t have to be boring and flavorless. In fact, the American Diabetes Association says it’s a myth that diabetics have to eat restrictive diets filled only with highly specialized foods. Diabetics, like everyone else, just need to eat healthy foods low in fat, salt, and sugar. To manage blood sugar levels, diabetics do need to be careful when it comes to carbohydrates, including starches and sugars. That’s why we’ve curated a list of nutrient-rich recipes that keep refined sugars and unhealthy carbohydrates to a minimum. Anyone, including non-diabetics, can use this list to achieve a vibrant and healthy snacking life. Protein-rich and super lean, albacore tuna makes the perfect centerpiece for this healthy diabetic-friendly snack from Diabetes Self-Management. Nonfat greek yogurt, Kalamata olives, red onions, lemon juice, fresh cucumber, and garlic salt top off the ingredients that go into making this snack so flavorful and satisfying, you’ll want to eat it every day. Tip: Munch on these tuna cups to stop sushi cravings without eating any sticky, refined white rice. 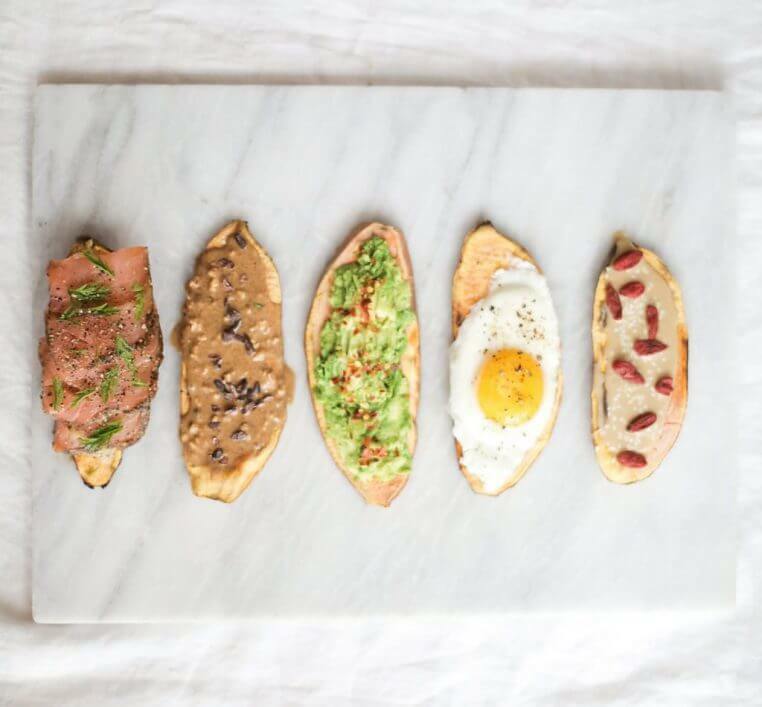 Even if you’re avoiding sugary refined bread, you can still enjoy all the incredible gourmet toasts everyone is buzzing about. This recipe from Nutrition Stripped is deceptively simple. Who knew you could pop sweet potato slices into a toaster to achieve a crispy breadless toast that is primed for toppings? When the sweet potato slices are crisped to perfection, top them with avocado, tahini, almond butter, mustard, or anything else you like. Feeling deprived can make eating healthy challenging for diabetics, especially when brightly colored packages and loud commercials implant us with cravings on a daily basis. This recipe from Emilie Eats lets you stick to your special meal plan while getting the flavors you crave. Sprouted grain tortillas, healthy oil, and a variety of spices give you a flavor package that’s even better than anything hiding inside a vacuum-sealed bag. 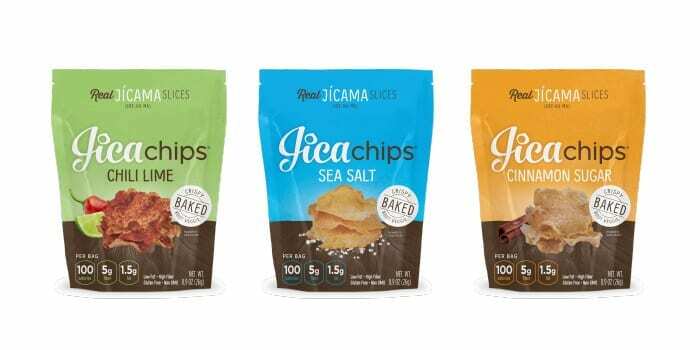 We’re so glad someone is finally making fiber-filled jicama into a chip! These amazing chips have fewer calories, less fat, and way more fiber than the average potato chip. Jicama is naturally low in sugar and carbs, so it makes a delightful chip that won’t send blood sugar skyrocketing. A Sweet Life covers simply nutritious radishes with dill, parsley, garlic powder, and avocado oil and bakes them to create a snack as craveworthy as any less-healthy junk food. The peppery flavors of the radish compliment this robust blend of spices perfectly, and the vegetable base of this snack tastes fresh and flavorful instead of heavy and fattening. One serving has only 52 calories. Freeze dried beets have all the spectacular crunch of potato chips, and they include far more beneficial nutrients. 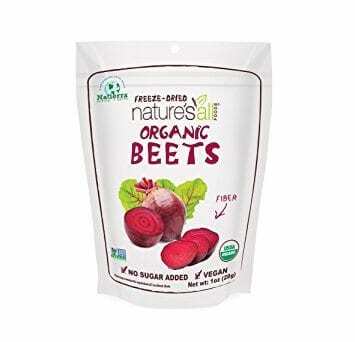 These pure and simple, conveniently packaged beets are ready to snack on. Just reach into the bag to start crunching. The beets have been dried, so they won’t make your fingers all red, but they still have all the good stuff in the fresh veggies, including fiber and iron. The snacks are USDA organic and non-GMO Project Verified, and they are healthy enough to snack on any time, or even all day long. Almond flour, egg whites, and healthy sugar substitute have the power to create a delightful Italian macaron that makes the perfect treat when you need it. Just mix up all the ingredients, roll the dough into balls, and bake the macarons until they’re delicately crisp, just like the ones from your favorite bakery. Get the recipe from Diabetes Daily. 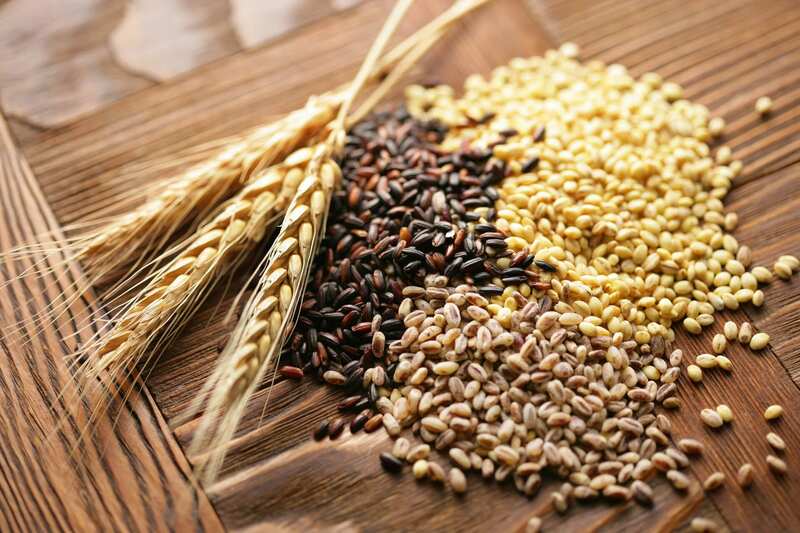 Low on the glycemic index, barley is an ideal grain for people with diabetes. When it’s added to a salad of lentils, tomatoes, feta, capers, and green onions, it takes on Mediterranean flavors as well as any couscous. Just 1/2 cup of barley has 16 grams of fiber, making it a perfectly filling base for a variety of diabetic-friendly snacks. Check out the recipe from Kalyns Kitchen. Fermenting is the perfect way to add tons of flavor to any vegetable without adding a lot of sugar, fat, or salt. Fermented vegetables are also full of probiotics that are good for digestion. 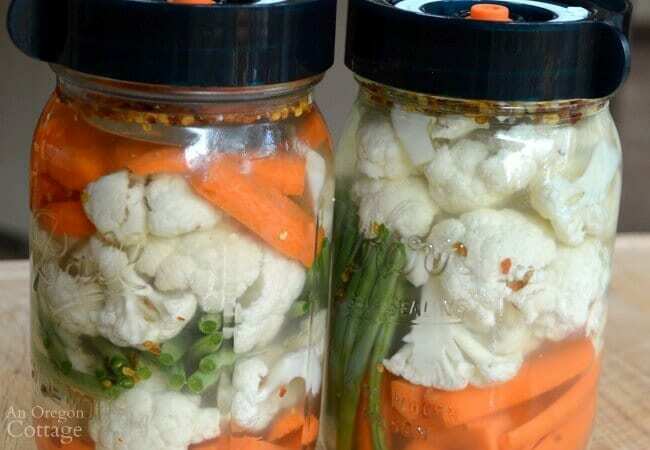 It’s not as hard as you might think to ferment your own vegetables. This method from An Oregon Cottage calls for a few simple ingredients and some special lids. Once you have all those items, the rest of the process couldn’t be easier. 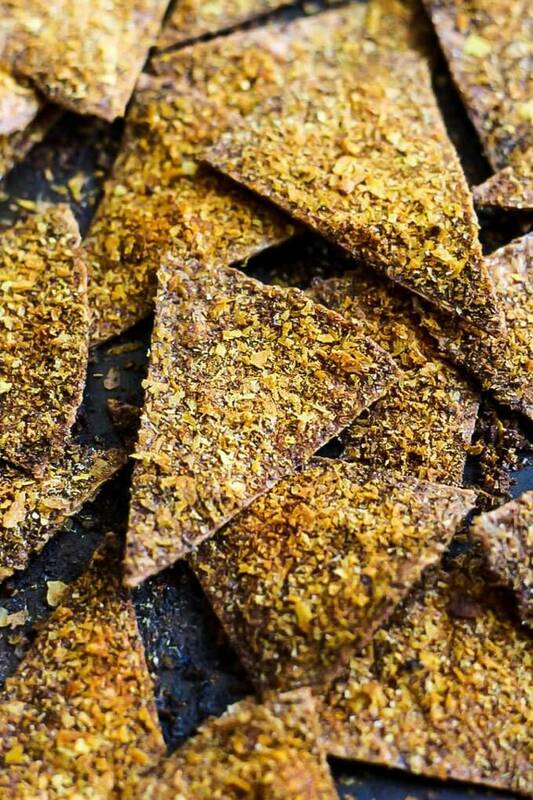 Flavorful endive leaves have refined crackers beat any day. Topped with a simple mixture of roasted garlic, black pepper, and goat cheese, the leaves transform into something that qualifies as a true flavor experience. Without a too-salty cracker blocking all that amazing flavor in your goat cheese, you might just detect flavors that you’ve never noticed before. Get the recipe from dLife. The simple dried apricots and spicy ginger provide plenty of sweetness without any added sugar. One serving has only 102 calories and counts as one starch on the diabetic exchange system. These diabetic-friendly snack bars are made with coconut and sweetened with low-glycemic coconut nectar. The bars don’t have any oats, grains, or genetically modified ingredients, and they’re vegan, kosher, and organic. In addition to all these incredibly desirable features, the bars also taste amazing—rich, yet wholesome, with just the right amount of sweetness. Swap out vanilla yogurt for plain yogurt to further reduce the sugar content in this snack, a snack that feels like way more of a treat than a simple piece of fruit. Take a cue from the Diabetic Foodie and slice up wholesome honeydew melon, drizzle it with yogurt, and sprinkle it with pistachios and lime zest to experience flavors worthy of a classic gelateria. Get your daily dose of probiotics and flavor with Saverne’s convenient, gourmet-level pouches of handcrafted kraut. The unforgettable curtido flavor features fermented cabbage, carrots, onions, jalapenos, and a variety of salty spices. And you can snack on all this incredible flavor straight out the bag. 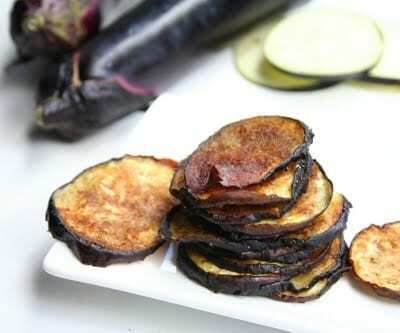 Avoid the blood-glucose spikes that come along with processed potato chips and make your very own chips out of eggplant, an unsung healthy-eating hero that is too often relegated to cheesy Italian dishes. When you sprinkle eggplant with garam masala and bake it until crisp, it makes a delicate chip with an unbelievable amount of flavor. 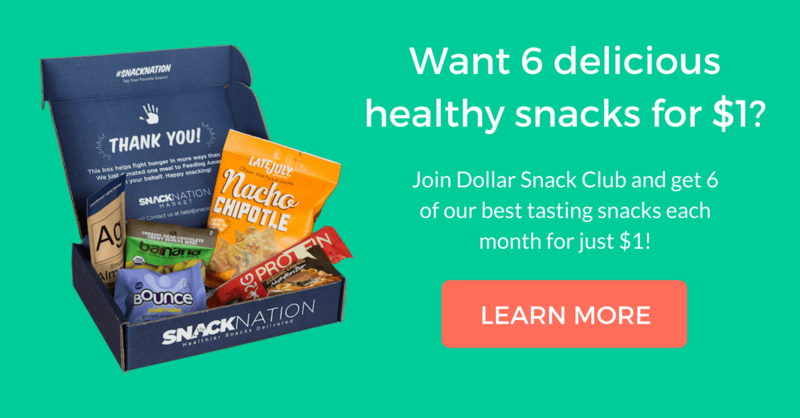 Pure and simple peanuts make an incredibly healthy snack any day, any time, and Hubs is a brand passionate about keeping peanuts pure and simple. 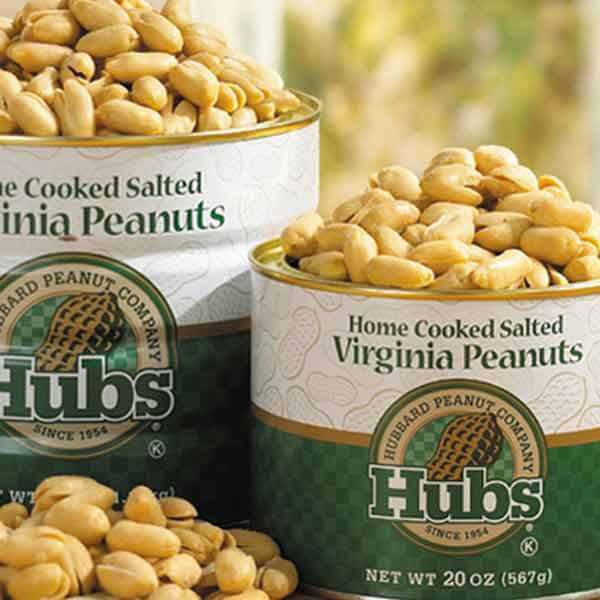 Hubs sources only the very best extra-large Virginia peanuts. Then they cook the premium nuts with just a touch of salt to bring out their natural flavors. Skewer reduced sodium turkey breast, low-fat mozzarella cheese, cherry tomatoes, cucumber, and basil leaves to get all the flavor you want in a wholesome sandwich without the carbohydrate-dense bread. These flavorful skewers from Diabetic Gourmet Magazine have enough flavor to stand alone, and you can even dip them in healthy balsamic vinegar if you want an extra kick of flavor. Rich and flavorful olives make satisfying diabetic-friendly snacks. And thanks to brands like Mediterranean Organic, we can snack on fresh olives straight from handy portable pouches. The brand fills every snack bag with freshly picked olives grown in the fabled soils of the Mediterranean. Plus, there’s no liquidy brine in the bag, so you don’t have to worry about any greasy spills spoiling your favorite shirt while you snack. 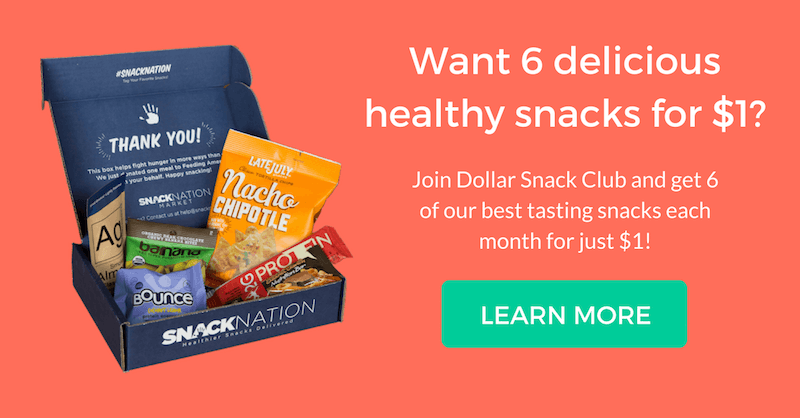 This diabetic-friendly snack from Diabetics Rejoice! is part smoothie, part milkshake, and entirely delicious. Strong chai and creamy kefir taste incredible when blended with coconut cream and ice. This frappe is perfect when you need a snack that’s fast and not too heavy. It has only 3 grams of sugar and 2.7 grams of net carbohydrates per serving. Watermelon, mint, ginger, and chaat masala, an Indian spice, make an utterly interesting flavor combination. When the mixture is placed on healthy miniature wheat toasts, it creates a memorable snack that’s perfect for diabetics and anyone else who wants a little more flavor in their lives. These rounds from Gita’s Kitchen are light enough to eat after dinner and before bedtime—or whenever you’re feeling just a little bit peckish. My Bizzy Kitchen uses unsweetened applesauce to make rich, dense muffins. This recipe for anytime muffins uses whole wheat flour, oats, and fresh blueberries to make a nutrient-dense muffin that is better tasting, and better for you, than any bakery muffin with crystallized sugar caked on top. And while this isn’t the biggest selling point, it’s worth noting that you can make these snacks in just one bowl. A sugar-free brownie you can make in the microwave? Yes, it is absolutely as good as it sounds and better; the brownie is also vegan. This quick brownie recipe from Sweet as Honey calls for almond meal, crunchy peanut butter, sugar-free semi sweet baking chocolate, and a few sugar substitutes. The result is a warm, gooey brownie you can feel good about eating. This cumin-flavored bread is diabetic-friendly and full of interesting flavors from cumin seeds, dry mustard, and picante sauce. Plus, it’s easy to make, with no bread maker required. Just mix up all the ingredients and bake the dough in a loaf pan. When you see how easy it is to make your own bread, you may never want to buy the packaged kind again. Get the recipe from Health Magazine. Oh Snap! Pickling Co. is packing their expertly pickled fresh veggies into pouches for our healthy snacking convenience. The Carrot Cuties serve up way more flavor than baby carrots, but the flavor (from salt and vinegar) barely adds any calories. 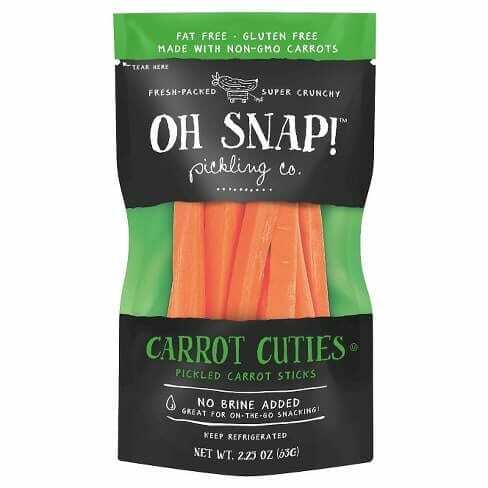 Best of all, there’s no messy brine added to the pouch, so the carrots are perfect for mess-free snacking on the run. This Mayo Clinic recipe transforms cubes of fresh fruit into an incredible salsa with orange juice and a touch of honey. Whole-wheat tortillas, dusted with cinnamon and baked to perfection, will compliment the fruit salsa perfectly. Together, these sweet chips and fruity salsa make a perfect snack or an ideal light dessert. One serving, which is about 8 chips and 1/3 cup of salsa, has only 3.5 grams of added sugar. What did we do before cauliflower rice? Low-carb cauliflower makes an ideal rice substitute for a diabetic-friendly snack. Many stores now sell pre-riced cauliflower, which is perfect if you need to make this snack in hurry. Toppings of cucumbers, tomatoes, and kalamata olives, plus a dressing of red wine vinegar, olive oil, and mustard add plenty of interest to the mildly flavored cauliflower in this recipe from the American Diabetes Association. To make this recipe from OnTrack Diabetes, mash up a banana and put it on some oatmeal bread. Throw the whole combination under the broiler to make a fiber-filled healthy snack that’s perfect for diabetics. The banana toast is just sweet enough to satisfy your cravings, but it won’t make your blood-sugar levels skyrocket. What’s in these Zego fruit bars? Just fruit of course; that colorful package wouldn’t lie. Each bar contains only the fruit noted on the label, no added sugars. The bars are available in flavors of pear, strawberry, blueberry, cherry, and raspberry. 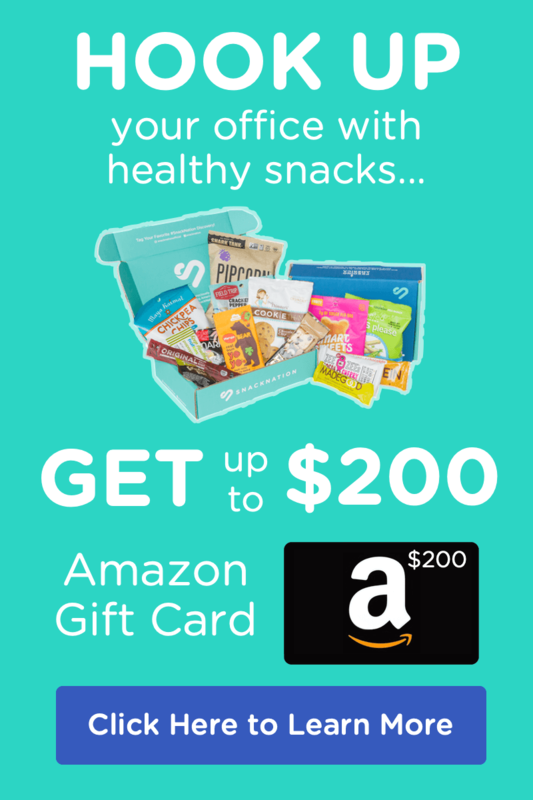 What’s your favorite diabetic friendly snack? Let us know in the comment section below! Is this just for businesses or can get the m for one person? Hi Maggie! The snacks listed can be sourced individually. 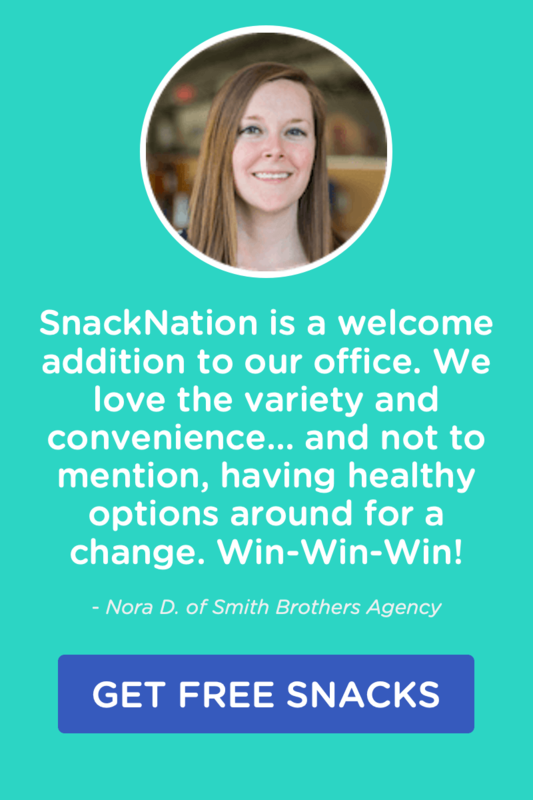 If you’re interested in a curation of healthier snacks every month you should check out SnackNation.com! We deliver to homes and offices across the US.